wonderful news, amanda! so excited for y'all!! Oh gosh!!! This is soooo exciting (and understandably overwhelming)!!! Major major congrats, and sending many many prayers your way!!! Oh my goodness! SO happy for you guys! I definitely got a little teary reading your post. God is so good. Wow, that is so exciting! Congratulations!! Oh wow!!!! Congratulations to you and your family!!! So excited to follow along during this adventure! OH MY WORD! Congratulations! I had a baby about a month after Sam. This is exciting! WOW! Congratulations! Like with any other baby, the days can be long, but the years fly by. My twins will be 5 in June! Best of luck and if you have any questions, I am happy to help! Obviously I am elated!! Twinkies!! Congratulations! With IVF I basically told myself that twins were something that were always a possibility but even still I think the reality might throw me a bit! I have had the chance to meet several twin mamas since O was born and they make the reality seem much more doable. One even frequently watched her friend's three year old this fall so she had three kids! You will find your groove too! Congratulations! How exciting :) Yes, you sure can do all things through Christ who strengthens you! I hope my comment went through! Congrats Amanda! So exciting! I'll be praying for you! O.M.Gee! Congrats darling! Cheers to a full and happy home! CONGRATULATIONS! How exciting and what a blessing from above! We are waiting on the arrival of our second set of twin grands! Nothing like em! My DIL blogs at www.moxiemadeblog.com. She has twin boys 16 months! God Bless all of you Betty. Perfect news to read today. Wow!! Congratulations!! Best wishes for a great pregnancy!! oh my word.....so behind in blog reading and look what I missed! Big congrats to you/hubs/Sam. I love the great news! Congrats I was in shock too when I found out I was having twin girls through IUI. 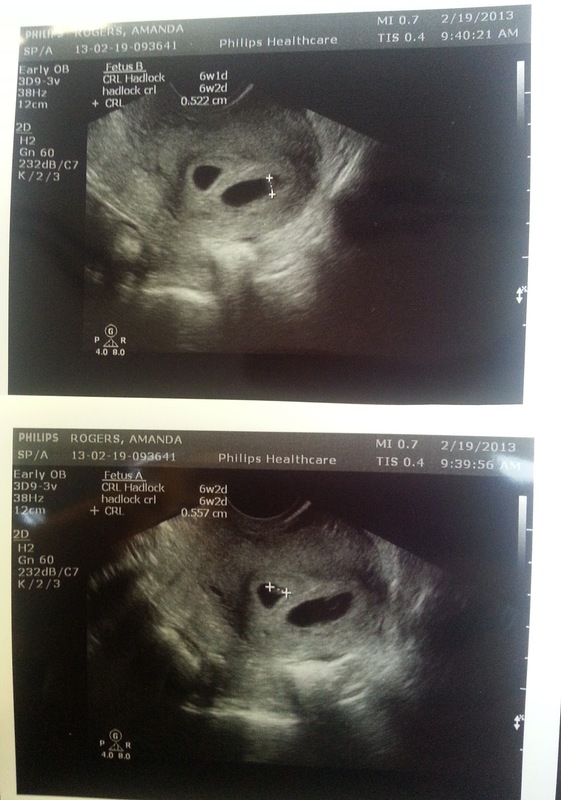 Now mine are 2 1/2 and I'm 3 months along with #3 and so scared. Twins are a blast and the baby phase flies by twice as fast. You'll be super busy with all those babies, but it will be wonderful. Sending prayers!